Submit your application for CLC Pacific’s legendary Winter School union training today! YEU invites our activists to apply for Labour training offered by the Canadian Labour Congress at Harrison Hot Springs each year. We have created a short list of eligible courses which will be considered for our Yukon applicants. Please note that the courses listed below are the only courses which the Education Committee will consider for approval. Are you interested in attending training at Harrison? Want to know who is eligible to participate? Have you been active in your Local, your Union or your workplace as a union representative or activist? Are you a member of your Local Executive? Are you a member of a PSAC North Regional Committee? Are you a YEU Shop Steward? Are you a Confidential Advisor or Union Counsellor? If you can answer yes to any of the above questions, you are eligible to apply. We have some expectations of those who are sent to Winter School for training, as the cost of travel, tuition and loss of salary comes from member dues. Our responsibility to those members means we expect trainees to participate in union activities and help share what they have learned while away. A letter outlining what you’ve learned and how you intend to put that learning into practice upon your return is a requirement of the process. 2. CLC WINTER SCHOOL PAPER APPLICATION FORM linked here for printing. Return both to Yukon Employees’ Union by mail, by hand, by fax to 667-6521 or by email to contact@yeu.ca . Collective Bargaining Level 1: This course develops a solid understanding of the bargaining process and the factors that affect collective bargaining. The course provides opportunities to practice preparing for and negotiating parts of a collective agreement. The course covers a working knowledge of the laws and rules that structure the bargaining process. This course will be of interest to new bargaining committee members and local union officers. You may want to bring a calculator for this course. Facing Management: This course offers an opportunity to learn new skills, tactics, and strategies for unions to use in joint labour-management committees. This is a perfect course for newer activists that want to learn more about union-management relations, traditional and modern management theories and systems, and the history of work organization. Communication skills, group dynamics training, and conflict resolution skills will be emphasized. The course offers hands-on practice sessions in skill-building techniques so that you will be as comfortable in the boardroom as you are at a union meeting. Bullying and Harassment: Responsibility for bullying in the workplace is shared between workers, the employer, and the union. This course will explore different approaches and tools to address bullying in the workplace, from education programs, legislation, workplace policies and procedure, grievances, and other means within the collective agreement language like labour management committees. The course will also explore the relationship and differences between legislation covering bullying and harassment. We will also look at what the rest of Canada is doing on the topic of bullying and pull examples and lessons from their experiences. Finally, we will review the new BC Legislation put out by WorkSafe and the implications of this language for OHS Committees and WorkSafe WCB claims. Parliamentary Procedure and Public Speaking: This is a two-part course. Parliamentary Procedure covers how to run a meeting effectively, the duties of a chairperson and secretary, and how rules of order can provide a democratic and fair process to get the business of the union accomplished. Public Speaking covers how to speak persuasively to various groups and how different formats are used to speak at convention, debates, and impromptu gatherings. Return to Work: This course is designed to equip participants with tools and strategies for successful work reintegration outcomes. Participants will explore leading research and learn the principles of good work reintegration practices and the duty to accommodate. The course has a strong focus on the analysis and interpretation of human rights obligations and particularly the duty to accommodate. Barriers to successful work reintegration are addressed with a focus on attitudinal barriers and their elimination using the social model of disability and therapeutic return to work principles. An in-depth comparison, between older methods of disability management and the newer, progressive disability prevention model, is presented and participants learn about the paradigm shift from management to prevention. Steward Training Level 1: The steward is often the main point of contact between the union, its members, management, and the larger labour movement. This course builds the skills, confidence, and knowledge a steward needs to represent their members. Participants will learn the roles and responsibilities of their position as stewards, the handling of grievances and complaints, problem-solving skills, protecting contractual provisions in the collective agreement, and current issues for stewards. Successful Meetings: Parliamentary Procedure: This course focuses on the nuts and bolts of how to run union meetings at the local level. Not only will you learn the basics of Parliamentary Procedure but we’ll also discuss how to make committees and other small groups work more effectively. We’ll also explore new meeting formats and how to use our time in meetings to get tasks done. 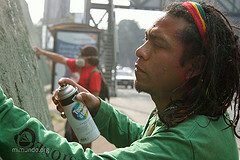 Transforming Conflict into Union Activism: Transforming Conflict into Union Activism approaches conflict in a novel way. It recognizes that conflict isn’t always negative but that it is the outcome of the conflict that is negative or positive. The course will teach participants how to listen to people involved in a conflict, get to the root causes of a conflict, and how to coach people involved in a conflict to identify shared interests. Participants will learn how to use those shared interests to help people involved in a conflict find solutions and turn the conflict and shared interests into union activism. Union Activism for a Green Economy: The labour movement wants a prosperous green future for ourselves, our members, and our families. This new and innovative course examines how we can work together within the labour movement and with our social justice partners to advance economic and environmental initiatives that provide good, greener jobs in both the public and private sector. We will develop strategies to work in coalition with environmental groups and examine new negotiating challenges being faced at the bargaining table around climate change and the developing green economy. Using Modern Tools to Talk with your Members: Beginning with an internal union communications audit, this course will teach participants how to use a variety of communications tools in order to reach union members with the union’s message and culminate with a custom internal communications plan. The course will take a look at websites, newsletter/bulletin design and writing skills, crafting effective emails, starting and managing email lists, and basic poster design. Participants will also learn the basics of taking great photos and producing short, engaging videos to better communicate with their union members. Women’s Health & Safety in the Workplace: All workers face health and safety issues at work – injuries, workplace hazards, disease, and stress. Many of these issues also have a gender dimension – they affect women’s bodies in particular ways. In this course, participants will discuss and learn abut how women’s health (including reproductive health) is affected by toxic workplace substances, the way work is often designed to fit men’s bodies, and workplace stresses such as violence and harassment. The program gives participants skills for assessing workplace hazards, and provides participants with key health and safety principles (hazard control, precautionary principles, right to refuse, right to know, and the right to participate). This program is geared to women who are health and safety committee members, and to all women who want to know more about how to make our workplaces and lives safer and healthier. Women in Leadership: This course offers union women an opportunity to develop and enhance their leadership skills and knowledge in a variety of current and emerging labour issues. A major component of the course will cover communication and motivational skills that are important for women activists. Young Workers in Action: This course is designed to give young union activists the skills they need to be effective in their workplace. The course will cover public speaking, how meetings are run, how to read your contract, grievance handling, and basic collective bargaining process. Participants are requested to bring a copy of their collective agreement. Critical Incident Stress: Although we hope that incidents and accidents in the workplace never occur, quite often they do and the Union is challenged to help its’ members deal with the impacts and aftermath. This course develops an understanding of critical incident stress and how it can affect people. From there, the course helps unions develop a critical incident stress response system which can be implemented in the workplace. Participants will examine key elements of critical incident response systems, including a review of collective agreement language covering emergency responders and other workers. Finally, the course will look at what challenges exist within the health and WCB system which requires our advocacy action, to make change happen. Candidate Development for Women: Are you a women who has been elected in your local union, provincial, or community organization? Are you looking to increase your support base and engage a wider audience? Have you run or considered running in a municipal, provincial, or federal campaign? If you answered yes to any of these questions, then this course is for you! This course is a next step for women leaders, designed to address the real challenges women candidates face and will introduce ways to balance the day to day challenges in the face of high stress campaigns. Bringing together leaders from various sectors, communities, and levels of government, participants will take away new ways of campaigning, strategic planning, and framing our message. By building on communication and presentation skills, participants will leave with tools to best communicate their message in on camera interviews, face to face debates, and with new media. Campaigning in a Modern Era: The evolution of campaign techniques is a continuous process. From time to time it is imperative that we look at what has worked in the past and what has not. This course will analyze the effectiveness of traditional campaign tactics. Additionally, the course will look at new communication and organizing tactics implemented in Canada and other jurisdictions and offer an open discussion on how we can create modern, effective tools to help us win. Contact YEU if you have any questions about your eligibility, the application process or any other query related to Winter School 2015. Thank you! Guatemala, March 2015………… YOU may be forever changed. Invitation to the Guatemala project 2015: 4 Young Worker subsidies available! The PSAC Social Justice Fund invites you to participate in the next Education In Action project in Guatemala for 2 weeks in spring, March 6 – 20, 2015. The Education In Action (EIA) organization is supported in part by the PSAC Social Justice Fund and engages Canadian volunteers to deepen their understanding of Guatemala, building solidarity by working closely with the Comité Campesino del Altiplano (CCDA) who are strengthening communities in Guatemala. The PSAC Social Justice Fund (SJF) Sponsorship program will subsidize the costs of participation for 4 PSAC Youth members (aged 18-30). Each subsidy of up to $2500 covers the project participation fee and contributes to travel costs, food and accommodation while in Guatemala. This subsidy does not cover loss of salary. In addition to the 4 youth subsidies, the project is open to all PSAC members who are able to cover their own airfare expenses plus $600 participation fee (covers travel, food and accommodation in Guatemala). Interested? Download the application form HERE for the March 6-20 2015 Education in Action trip to Guatemala. 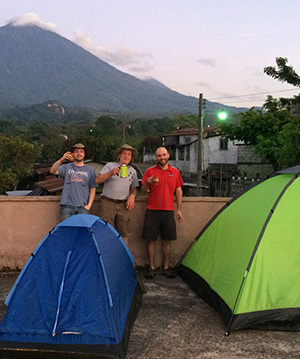 In March 2014, YEU President Steve Geick joined the EIA team and visited Guatemala. Steve’s story is here, if you wish to learn more. EIA has inspired many PSAC members to get involved in meaningful solidarity with Guatemala. Twenty-seven PSAC members have participated in the program to build homes for impoverished families in the rural areas of the Guatemalan highlands. So far, 82 homes, 3 community centres and 3 schools have been built since 2006, when the program was founded by former PSAC member Roberto Miranda. Through EIA, members have an opportunity to work side-by-side with Indigenous families who are members of a Guatemalan farmers’ cooperative, the Campesino Committee of the Highlands (CCDA), a grassroots organization working with Mayan farmers to improve their livelihoods. The CCDA has been defending the economic, social and cultural rights of the Mayan people since 1982, struggling for equitable land distribution, carrying out sustainable agricultural development, and encouraging the economic empowerment of women. The CCDA also produces the organic and fairly traded coffee, Café Justicia, sold by volunteers across Canada. Café Justicia is made available to members through the Social Justice Fund office in Ottawa. All proceeds are designated for the housing program, paying the salary of a full-time school teacher, improving access to potable water and food security for the population. Over the last few years, many rural families in Guatemala have faced a food crisis due to a serious drought and an aggressive blight that has destroyed the coffee harvest throughout Central America. Small producers have recorded major losses and many jobs have been lost. UNDE, UNE, UNW, UPCE, UTE, and YEU. 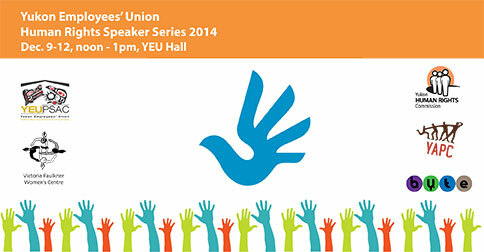 We are very excited to announce this year’s Human Rights Speaker Series. December 9-12 we offer noon hour presentations addressing human rights & social justice issues which impact our communities every day. Please join us for lunch as we explore these topics with panelists who really understand the issues. This discussion will focus on the reality of violent teen and young adult relationships. We’ll hear some statistics, consider some red flags and talk about what resources exist in our community. How do you tell if your relationship is healthy? What do you do when a friend is in trouble or you suspect your friend is a bad date? We welcome an outreach worker from the RCMP, a youth worker from BYTE and a representative of the Victoria Faulkner Women’s Centre. December 10: Housing & Homelessness: What’s at stake, what can we do? The effects of precarious housing are far reaching. Homelessness is not exclusive to those we deem hard to house, and it affects people across our societal spectrum. We welcome your input in a discussion of the challenge of homelessness. This is not a problem that affects only those who struggle with homelessness; a community that can’t offer its citizens safe and affordable housing cannot grow to its full potential. We’ll have Kate Mechan, an expert from the Yukon Anti-Poverty Coalition, Charlotte Hrenchuk of the Yukon Status of Women Council and the insight of a Whitehorse resident who has lived the experience of being without secure housing. December 11: Who Feeds Us? Yukon Farmers, Yukon Food! 2014 has been named “Year of the Family Farm” by the United Nations. Food Security is a buzz phrase we hear often, especially when a highway goes out or a truck breaks down on its way to us; Yukoners depend heavily on food from “away”. There is a growing movement toward improved sustainability and local production. We welcome pioneer organic farmer, Yukon’s Farmer of the Year for 2014, Mary Girouard of Rivendell Farms. Tom & Simone Rudge of Aurora Mountain Farms will also be at the table. As well as his efforts at the family farm, Tom Rudge is a passionate advocate for a GMO Free Yukon, while Simone’s research at the Yukon College’s Northern Research Greenhouse will inform Yukon agriculture for many seasons to come. Matt Ball is a professional agrologist with the Yukon Government Agriculture Branch. He works closely with many of the farmers in the territory on aspects of soils, fertilizers, growing conditions, research, and market opportunities. Matt has spent most of his life in the Yukon and drives to help build the agriculture industry so we have local food on our plates and a diversified economy. We invite you to a great round table chat with some strong women leading the way. Whitehorse United Church Minister Bev Brazier, Kate White, MLA for Takhini-Kopper King, Educator & advocate for aboriginal youth Marilyn Jensen, and entrepreneur & community leader Patti Balsillie and will share some of their experiences and ideas on leadership for women. Each representing entirely different types of leadership, we look forward to an interesting and active discussion. These events are FREE & open to everyone. Seating is limited as our meeting room has a capacity of 45. We are pleased to offer a complimentary simple lunch each day provided by the Bird House Bakery. If you have any questions please call us at 667-2331. If you plan to bring a group PLEASE let us know in advance so we can ensure there is adequate seating available. All presentations will take place in the YEU Hall, Lucy Jackson Training Room downstairs. Please, join the event on Facebook and we’ll see you there! YEU Standing Committees; we need YOU! Yukon Employees’ Union is governed by Bylaws created and modified by its membership. The elected Executive meets monthly and reports on the work they do as committee chairs, Local liaisons and Directors. Each Executive member is tasked with convening a committee to oversee certain areas of union business; the committees are made up of members interested in donating a few hours a month to their Union. Building Committee: To monitor, protect and preserve the YEU Building by advising Executive on technical maintenance issues, renovations, etc. Oversees maintenance contracts and acts as liaison with tenants. Committee members might be called upon to meet with YEU staff occasionally to discuss building functionality etc. Education Committee: Oversees the provision of education opportunities to YEU members, enhancing our ability to be effective and responsive to membership needs. Meets on an occasional basis to review education applications and assist in the development of training plans for the Union. Equity Committee: Chaired by a member of the YEU Executive, this committee invites 2-6 members interested in issues of human rights and equity. The goal of this group is to promote and assist in union action around human rights issues & to appoint the PSAC EO Committee member. Public Relations Committee: Actively promotes union ideals throughout the Yukon. Considers donation requests, administers hardship fund and is responsible for YEU Educational Bursaries. If you’d like to review the Bylaws, you can do so HERE. We are excited and proud to once again host the Canadian Labour International Film Festival at our YEU Office in Whitehorse. For six years now this festival has provided a platform for independent films from around the world showcasing work & workers from many backgrounds. These stories are not often told and offer us insight into worlds we rarely hear of. All CLiFF screenings nationwide are offered free of charge to anyone who wishes to attend. Screenings are held in theaters, union halls and living rooms across the country to audiences as diverse as the communities in which they live. These are not all capital L Labour films… we are all workers. As such, these workers’ stories will resonate with everyone in some way. This year we are offering a simplified version of the festival; you will not need to choose which films to see! All the films listed below will be shown in one large screening room so you won’t miss a thing! Farewell to Nova Scotia: Explore the dilemma faced by many young workers in Atlantic Canada; stay in the place you love or leave to pursue opportunity elsewhere. Joe Hill’s Secret Canadian Hideout: Joe Hill once said “don’t mourn, organize!” This movie tells the story of the search for the man who never died. Set in Rossland British Columbia. Judith – Portrait of a Street Vendor: An intimate journey into the life of Judith, a street vendor from Guatemala, working and organizing in New York City. Luminaris: In a world controlled and timed by light, an ordinary man has a plan that could change the natural order of things. Animated. Ngutu: Ngutu is a newspaper seller, a street vendor who hardly sells any papers at all. The Olympics’ Disposable Workers: The migrant laborers who built Sochi’s venues have endured harsh conditions, deportation and stiffed wages. Qatar’s World Cup: E:60 traveled to Qatar to investigate the working and living conditions of workers in the country set to host the 2022 World Cup. Welcome to Dresden: Dresden Ontario was the scene of an elaborate campaign by the National Unity Association to end anti-Black racism and discrimination. This film highlights the contribution of union activists to the struggle for racial equality. Working People – A History of Labour in British Columbia: Using more than 1000 images from museums and archives, this extraordinary film brings the province’s working past to life. We invite you to join us for an evening of films, conversation and yes… FREE POPCORN! Everyone is welcome and our facility is wheelchair accessible. Curious about the history of CLiFF? Visit www.labourfilms.ca and find out more. Visit our Facebook Event page to join the event! We hope to see you at the movies Thursday November 20th, 7pm!